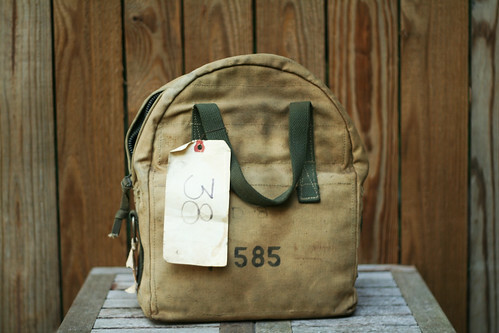 Several weeks ago while digging in a junk shop this particular canvas bag caught my. 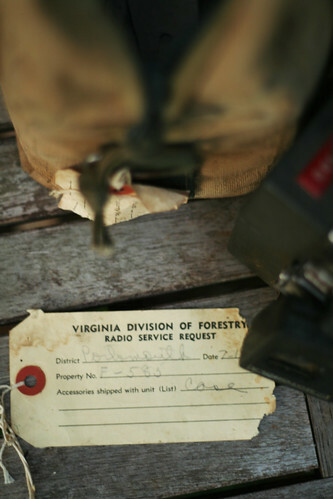 Once I pulled it from the shelf and opened it up I discovered it was a bag from the Virginia Division of Forestry. 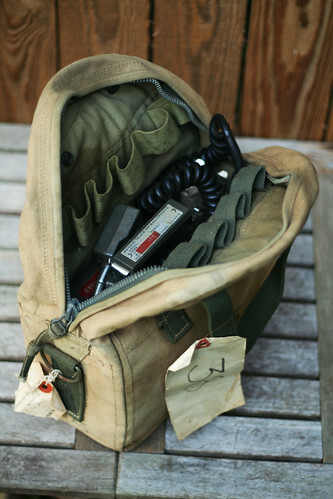 The bag, which contained an old radio, probably accompanied forest service rangers many years ago when they went out into the field. 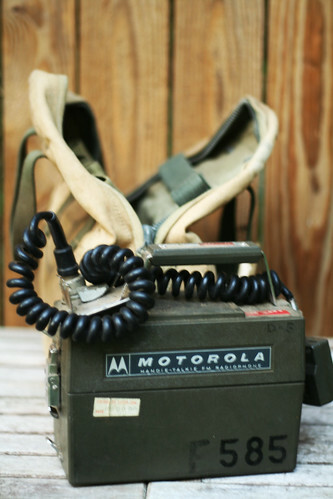 The old Motorola radio definitely is no longer working, or at least I wouldn’t know how to begin bringing it back to life. 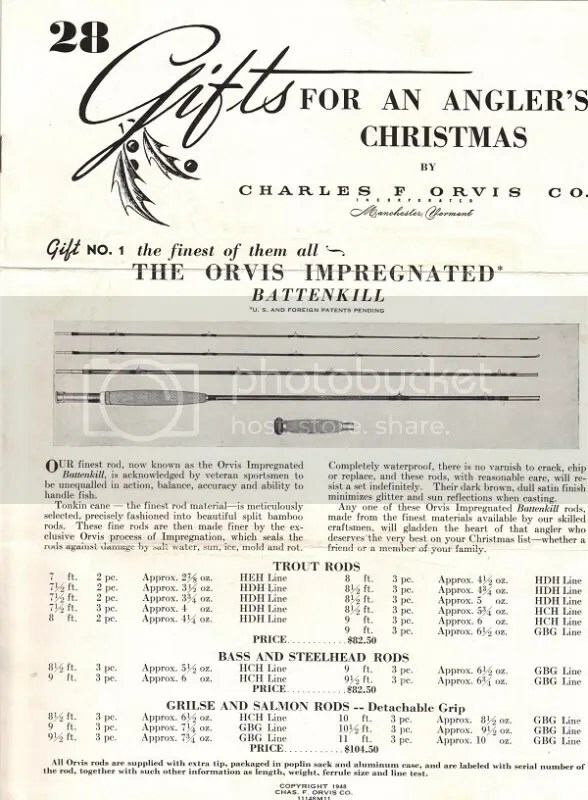 Based on the tag found in the bag it seems as if it was on its way into the shop for repair and never made it out. The bag, which is made from heavy canvas, is itself in great condition and just needs a little cleaning and will be good for a trip back into the field once again. 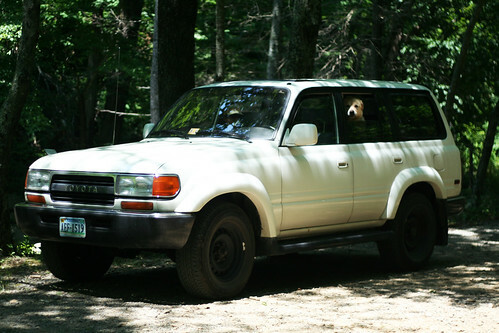 I love Toyota Landcruisers, and have always wanted to own one. The indestructible truck that has long been favored by safari guides, every guerrilla drug lord, rogue researchers, and even UN convoys has always held a special place in my heart. While I always thought I would get an older-older one like an FJ-60, when I came across this FJ-80 about a year ago I bought it up. I had been seriously considering a Vanagon at the time, another vehicle I will have to own one day, but the price was just right on this rig. 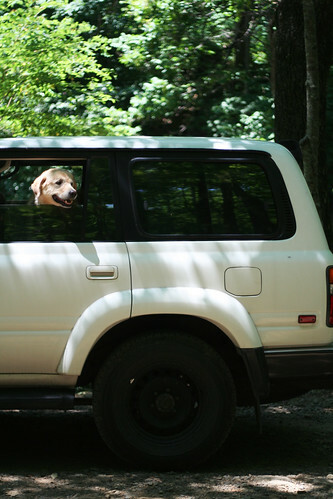 The truck which, has over 200k on the tachometer, drives great. That is to say it drives like it has already driven 200k miles and and probably will drive another 200k. 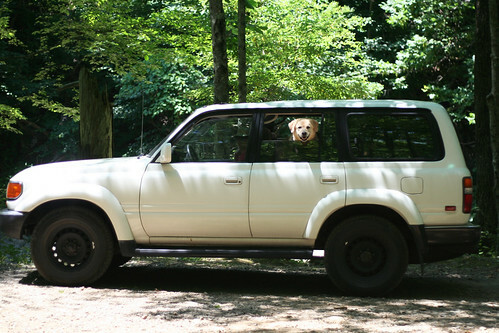 The interior is nothing to brag about, and the exterior…well if you like Landcruisers there isn’t much explanation needed. Oh and Mrs. WildWood and the dog really like it too. I have been an admirer of chuck boxes for a while now. 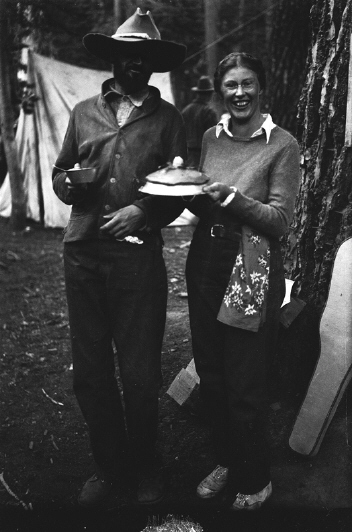 These sometimes beautifully crafted wood boxes used to store food and other supplies for camp come in a variety of shapes and sizes and are sometimes called camp, patrol, or provision boxes. 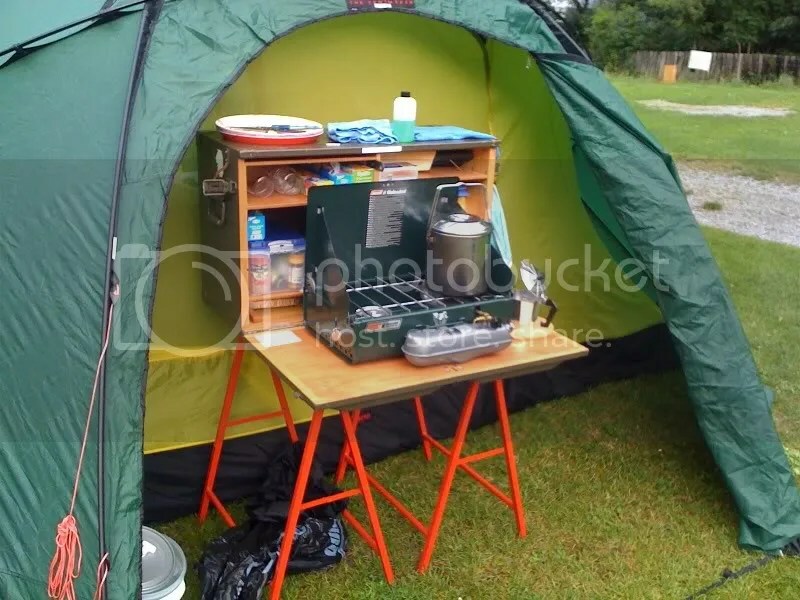 They also seem to range in their complexity, some being fairly simple with a few drawers while others have fold out legs and compartments for specific tools. Recently over at Llyod Kahn’s site, he posted about some particularly beautiful chuck boxes made by Dirt Floor Studio. 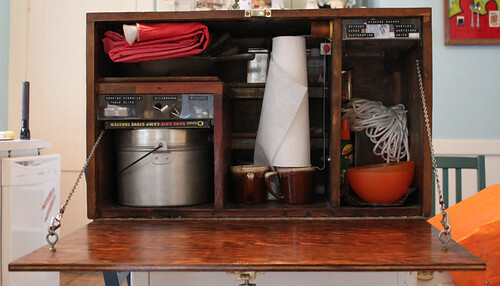 It seems if you are interested in making one yourself there are alot of plans out there online… would be a good Saturday Project. 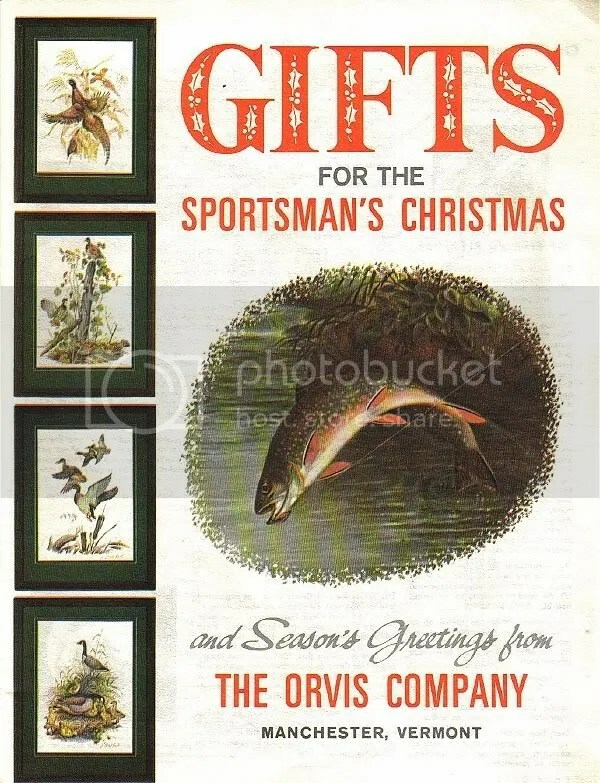 If you are still looking for gifts this year, perhaps consulting these vintage Orvis catalogs might be of help. 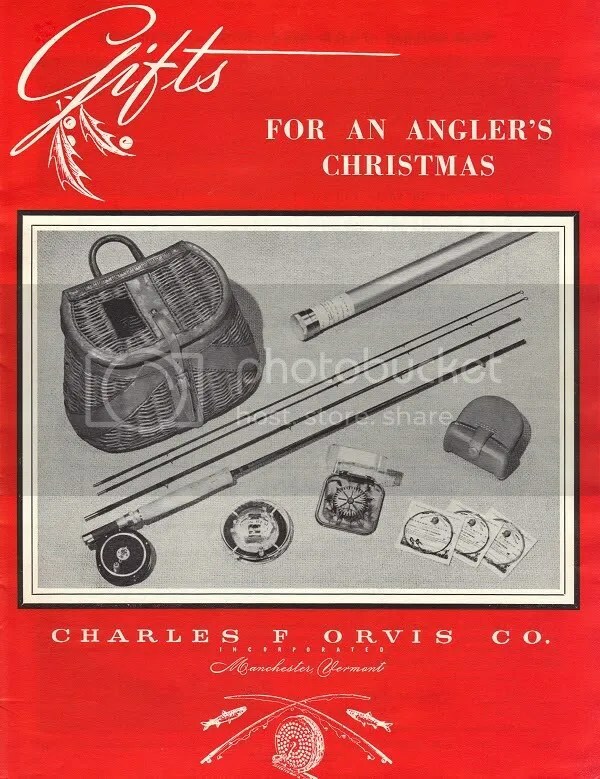 These catalog covers are just a few from a great collection of scanned pages from old Orvis catalogs found here. Really I’m not a knife nut, however some of you might be aware of my steady pocket knife collection. 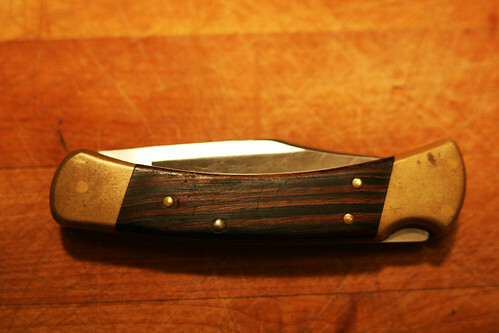 With that said for sometime I have really wanted a Buck 110. For me this knife is the epitome of classic/vintage pocket knifes and several weeks ago while at a flea market I came upon this particular 110. 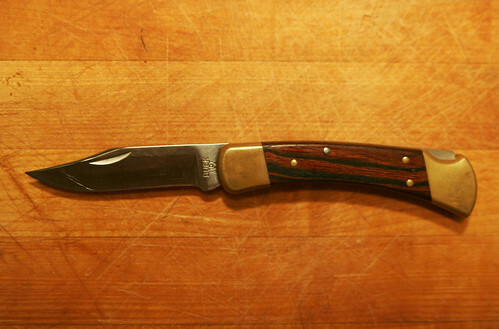 The first Buck knife was made in 1902 by Hoyt Buck a blacksmith apprentice. 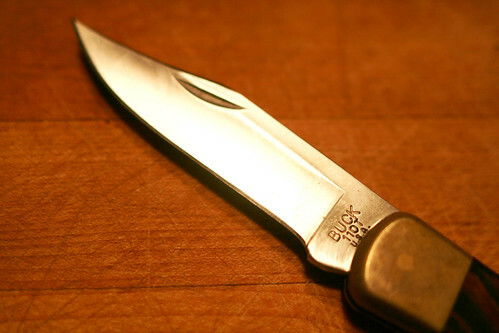 The first knives he made were hand crafted using worn-out file blades as raw material. The “Folding Hunter” which is the 110’s real name was first introduced in 1962 by Buck. Designed by Al Buck, Hoyt Buck’s son, the knife changed the industry at the time because of its inventive “lockblade” design. 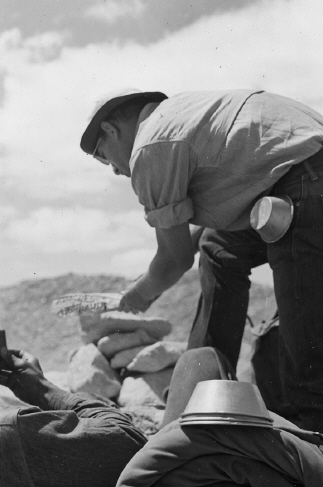 The knife single-handedly established Buck Knives as a leader in the knife business. This past weekend I found some nice old Sierra Cups at a yard sale in town. Looking forward to putting them to use this weekend. 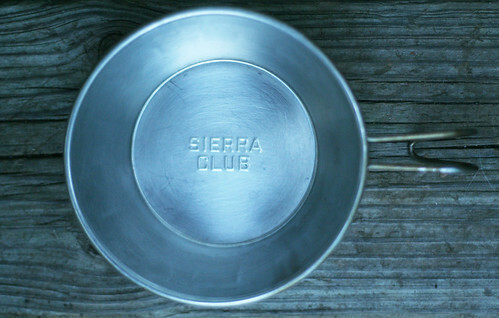 The history of the Sierra Cup is well documented, John Muir himself supposedly used one while out in the wilderness. 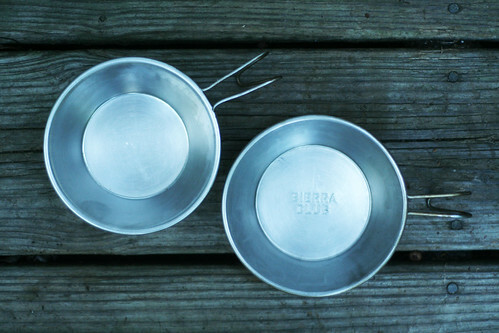 For more learning on Sierra Cups check this out this site , also Cold Splinters has some things to say bout these cups as well. 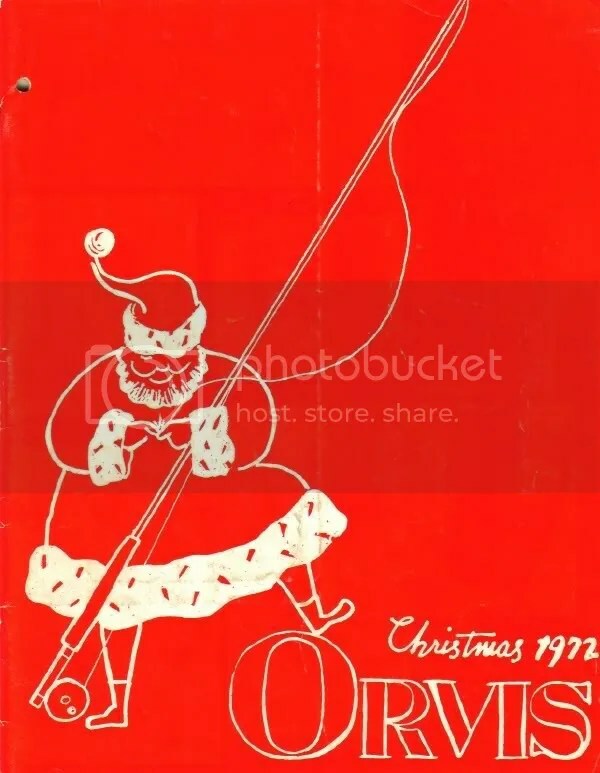 Last two images via The High Sierra Club, which is worth trolling through if you have time. Have a good weekend. 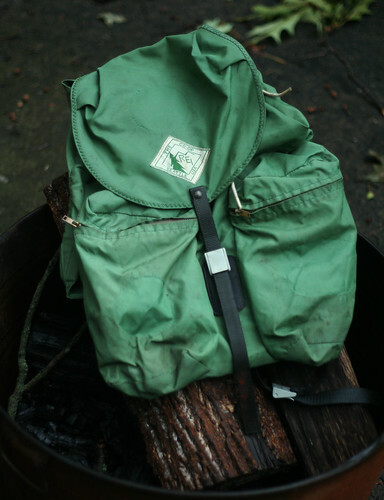 More vintage outdoor gear. Seems like we have been coming on alot of it at yard sales this summer. 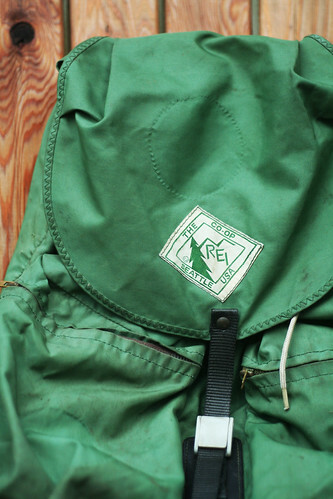 Just this past weekend I picked up this vintage REI backpack for a few bucks. It is in pretty good shape for its age but could probably use a good washing. 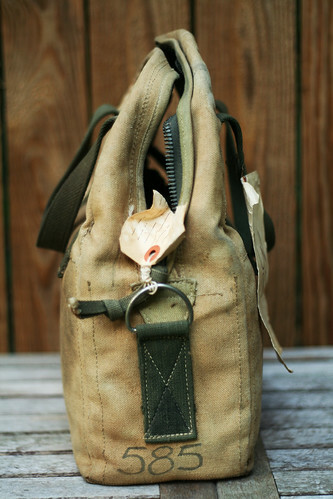 The pack shows evidence of its history and the many adventures it has traveled, with small holes in the outline of various patches that once were sewn to the outside.